MLCC – Working with local non-profit Minority Leaders & Citizens Council, FWMBCC members, MLCC members and community members network while the Chamber hosts a “Chamber Day” program providing information to attendees. New Membership Meeting – The FWMBCC welcomes new members with an orientation to get members acquainted with other new members, the services offered, opportunities available, account management, and Chamber staff. 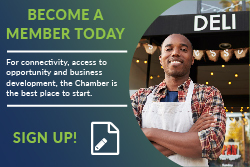 Membership Meeting – The FWMBCC will host regular membership meetings to allow members to network but also keep members abreast of what initiatives the Chamber is involved in at the moment. Speakers Series – The FWMBCC hosts a number of networking events with a keynote speaker to educate attendees on a specific topic. Want to host a workshop or a membership meeting?